Granite Ridge Lawn and Landscape is an environmentally-conscious company constructing long lasting landscapes and hardscapes. From seeding lawns to building retaining walls, designing & constructing brick patios and outdoor living spaces, they install only the highest quality products. 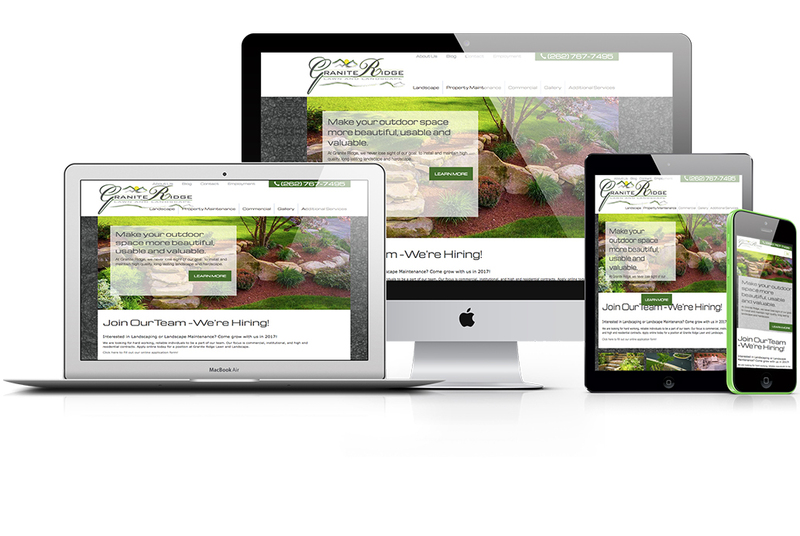 Granite Ridge Lawn and Landscape wanted to target a higher-end demographic of customers by using web marketing strategies. Emphasizing their high-quality imagery on the website allowed users to connect with the work performed by Granite Ridge Lawn and Landscape. An earthy color palette supported their current branding elements and highlighted areas of importance on the new website. Subtle textures enhanced the background, adding a visual element where images were not present. To increase inquiries, contact forms were strategically placed throughout the website. Through the powerful conversion emphasis on the site, Granite Ridge Lawn and Landscape has successfully maintained a healthy volume of consistent business.